The Power Of Make-up: This Lip Contouring Guide Will Give You The Pout Of Your Dreams! What if we told you getting Kylie Jenner-like lips was totally possible WITHOUT the injections? #lipgoals! Here’s how you can boost the size and shape of your lips using a simple technique known as lip contouring. And no, we’re not talking about overlining your lips. Lip contouring involves adding shadows and dimension to your lips. Hello, voluptuous lips! Here’s your step by step guide to lip contouring! It is very important to exfoliate your lips. Use a good lip scrub followed by a light layer of lip balm. If you want maximum colour payoff from your lipstick, use any foundation or a concealer and apply it all over your lips. This basically creates a blank canvas for your lipstick and makes sure you get the truest to pigment colour. We love the Maybelline Fit Me Foundation (Rs 446) for an everyday wear. Line your lips using a lip liner that is 1-2 shades darker than your lipstick. 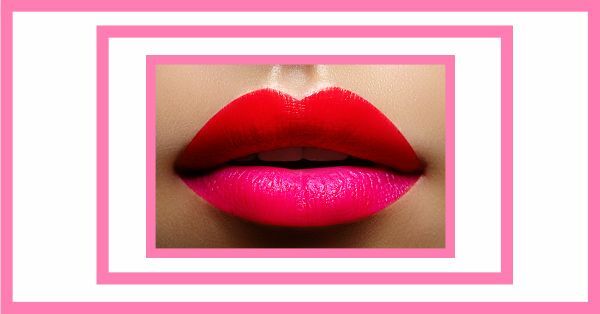 Define your lips in 3 easy shapes - an X on your cupid’s bow, M on the centre of your lower lip and V on the outer edges. Shade these areas using the lip liner. We LOVE the Huda Beauty Lip Set (Rs 2,600 approx) for those gorgeous, pouty lips. Fill in your lips using your favourite lipstick. Use a lighter shade of lipstick or a gloss to highlight the centre of your lips. A dab of this shade just on the centre gives the illusion of a fuller, plumper pout. The L'Oreal Paris Infallible Mega Gloss in the shade Disco Ball (Rs 638) is the perfect budget lip topper. If you’re feeling the urge to splurge, check out Huda Beauty’s Lip Strobe (Rs 1,700) you can wear them alone or use a little dab over your favourite lipstick. This step is totally optional, but if you’re a make-up junkie like I am, you need to try this at least once! This is the easiest way to fake a lip job without the hassle of injections, botox and fillers. We love the NYX Professional Makeup Wonder Stick (Rs 835) to contour both face and lips! Here’s a quick Instagram tutorial from beauty guru Huda Kattan to show you exactly how it’s done!